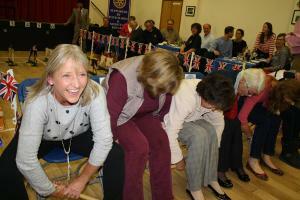 Rotary Four Marks & Medstead - welcome! Please scroll/swipe down through this page to find out more about us, in addition to the pages linked in the menu, top-left. 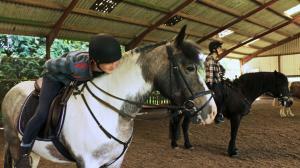 We are raising funds to remove the old condemned asbestos roof and update the facilities for the riding school. 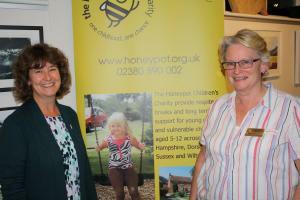 October 2017's speaker night featured an inspiring and enthusiastic talk by Viv Carter of Honeypot. Click Details below to find out more. 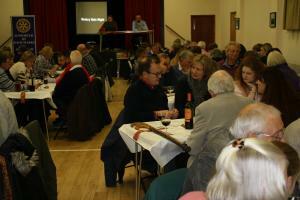 A night at the Races at Medstead Village Hall. Fish & Chip supper. Do you think it is a good idea to volunteer to help in our community? If the answer to the first question above is yes, Rotary offers you a fun targeted and organised way to volunteer. Why not come to see us in action?